If you’re looking to transform your event into a showstopper of a function, you’ve come to the right place. We are based in London and work throughout the UK and Europe. We cover different events from birthday parties to weddings and everything in between! 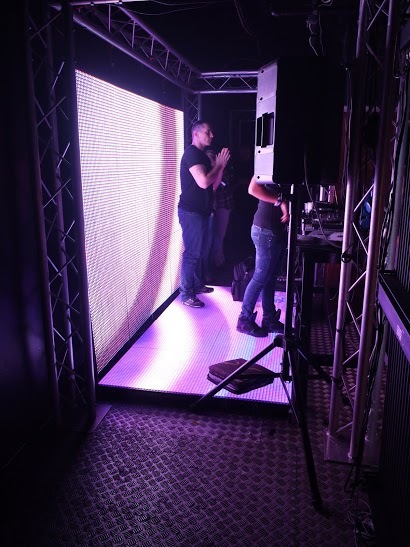 We specialise in providing dancefloors that are so much more than an area to get your groove on! Our dancefloors can become the focus of your event – running videos, colours, shapes and pictures of a quality that is stunning and unsupassable. Our dance floors use state of the art LED technology which allows you to map your own personalised images on to our floors. Each LED can be any one of 16.7 million colours making our floors the brightest and the most colourful in the industry. Visuals can range from images of your choice - bride and groom, bar mitzvah boy, birthday girl or even fundraising videos, moving landscapes, logos / brands – the list of possibilities is endless. If you can imagine it, you can have it!